With more then three decades of pharmacy practice experience involving biotech-derived drugs, the impact of biologics in community and institution settings for patient care and disease management has never been larger. Preparation, dispensing, and patient education regarding appropriate use of pharmaceuticals are primarily the responsibility of the pharmacist. Traditionally, parenteral products have been available in ready-to-use containers or required appropriate dilution with sterile water or saline prior to use with no other special handling requirements. Hospital pharmacists, in particular, have prepared and dispensed parenteral products for individual patients for many years. 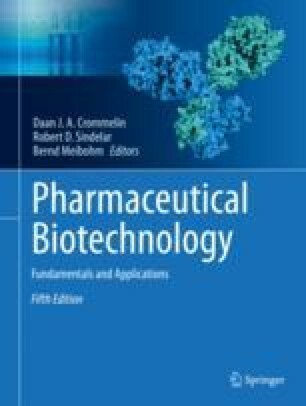 While many pharmacists are skilled in handling parenteral products, biotechnology products present additional challenges since they are predominately proteins subject to physical and chemical denaturation and thus require special handling techniques. These challenges will be explained in greater detail in this chapter. Practice issues with biotechnology products may be handled in slightly different ways depending on laws and pharmacy practice standards in each country. This chapter is written primarily from the view of practice in the United States since that is the primary experience of the original chapter authors.